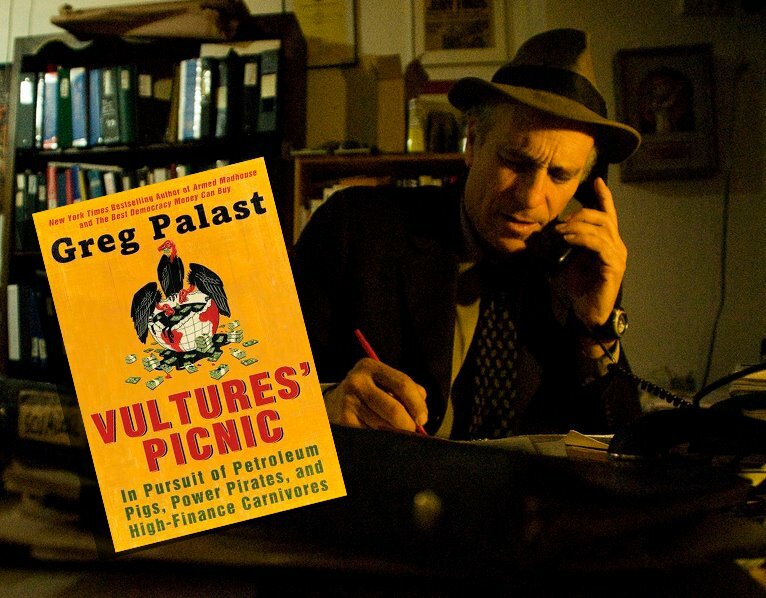 Greg Palast’s investigative reports appear in Rolling Stone, the Guardian and on BBC Television. His latest film, The Best Democracy Money Can Buy, on how Donald Trump stole the 2016 election, is available on Amazon. Palast is Patron of the Trinity College Philosophical Society, an honor previously held by Jonathan Swift and Oscar Wilde. Palast turned his skills to journalism after two decades as a top investigator of corporate fraud and racketeering. Palast's reports appear on BBC's Newsnight and in Britain's Guardian, Rolling Stone and Harper's. Palast is best known as the investigative reported who uncovered how Katherine Harris purged thousands of African-Americans from Florida's voter rolls in the 2000 Presidential Election. Palast directed the US government's largest racketeering case in history--winning a $4.3 billion jury award. He also conducted the investigation of the Exxon Valdez on behalf of the Alaskan Natives. Trump may name Kris Kobach new immigration czar The real danger in this "Immigration Czar" appointment: Kobach could organize the purge of young voters and voters of color by the hundreds of thousands just before the 2020 election. 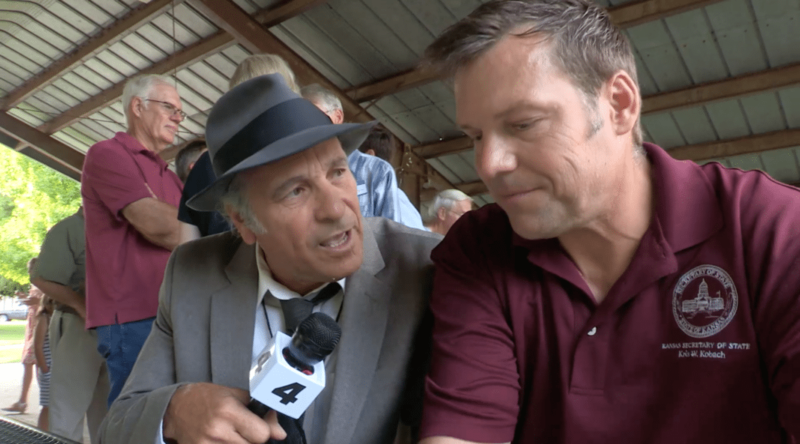 For all his antics, don't underestimate Kobach, a graduate of Harvard, Yale and Oxford. The wily lawyer and political hit-man knows that the lawsuits by voter victims wouldn't bite until after the steal of the 2020 election. 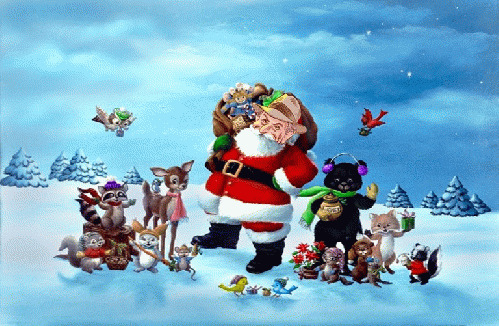 Look what Santa Brought from Georgia Now that Brian Kemp is no longer Secretary of State of Georgia, his office has informed The Palast Investigative Fund attorneys that they are throwing in the towel in the Palast and Butler v. Kemp suit we filed in Atlanta Federal Court in October. 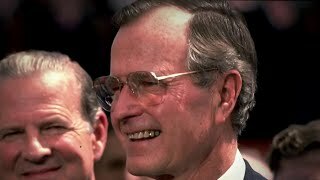 Bush Sr. Made a Killing -- 50 Miners Buried Alive While pundits are falling all over themselves spewing about the "civility" of the patrician George H. W. Bush, l must honor the memory of those 50 men who were buried alive in a gold field in Africa so Bush Sr. could cash in. How Brian Kemp Illegally STOLE The Georgia Election Abrams was prepared to fight over the provisional ballots. She even got a judge to say count them -- but you can't count provisional ballots which were never handed out. It was a pure steal. And the trick that Kemp used to bleach the voter rolls whiter than white was used by the GOP nationwide. And this is the practice for 2020 -- unless we put a stop to it. 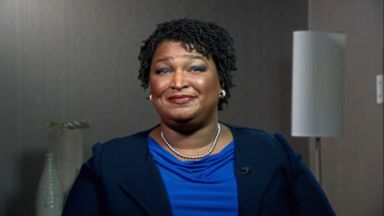 Abrams' New Voting Rights Org -- Fair Fight Georgia -- Files Suit Abrams, who has formed a non-partisan voter protection organization, Fair Fight Georgia, cites, among other racially biased attacks on the rights of citizens to vote, the wrongful mass purge of voters by Secretary of State Brian Kemp -- who was Abrams' opponent and the presumptive winner. 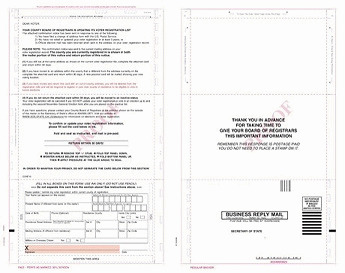 Mississippi: Ugly Old Trick Targets Espy Voters Palast Investigative Fund attorneys, led by Jeanne Mirer of Mirer Mazzocchi & Julien of New York, have notified the State of Mississippi that The Palast Fund will file suit under the National Voter Registration Act unless we receive complete information about mass purges in the state prior to the mid-term elections. What We Must Do Now: Abrams, Georgia And Something Extraordinary I have been investigating Brian Kemp for five years. And I remember in 2014 shocking a Legislator, Stacey Abrams, with Kemp's purge lists. She told my al Jazeera audience that she was furious that "our Secretary of State" was spending his time attacking the voter rolls. Little did I imagine they'd be squaring off years later, and Kemp's voter-roll monkey business would be decisive in the ugliest way. Georgia Voter Purge Victim: "This Was a Strategy From Kemp" Abrams' legal team is fighting to count every ballot -- including those provisionals, as well as the piles of absentee ballots rejected under Kemp's rules -- to force Kemp into a run-off. The fact that Kemp is blocking legitimate requests for provisional ballots will make the push for a re-run that much harder. 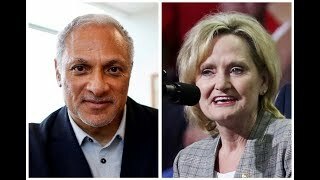 Martin Luther King's Cousin Blocked by Kemp from Casting a Ballot Despite Voting in every Election for 50 Years 92-year-old Christine Jordan, Martin Luther King's cousin, was blocked from voting in Georgia. Brian Kemp took away her right to vote exactly 50 years to the day since she cast her first ballot in Atlanta. 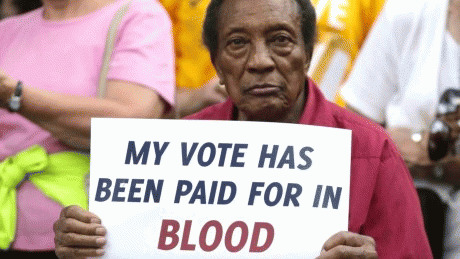 92-Year-Old Georgia Voter Blocked Jim Crow in 59 seconds... Why Stacey Won't Quit Christine Jordan, aged 92, was blocked from voting yesterday, thrown out of the polls with her walker -- just one victim of Kemp's mass cancellation of voter registrations -- more than half a million Georgians purged in the night, stealthily, hidden from the public eye. Purged Voters' "Provisional" Ballots Could Decide Georgia Governor Race "Federal judges may feel differently about Kemp's right not to count these provisional ballots," says Jeanne Mirer, lead attorney on the lawsuit filed against Kemp in October. If the court determines that Kemp misused his power as Georgia's "Purge'n General" it could order that those provisional votes be counted. Georgia's Brian Kemp Purged 340,134 Voters, Falsely Asserting They Had Moved This is the story of the mass exodus from Georgia that never happened, and the mass purge of voters by Kemp, GOP candidate for governor, through methods guaranteed to disproportionately take away the vote from the young, the poor and voters of color. How the "Bernie of Mexico" Won the Presidency AMLO has won a crushing, too-big-to-steal victory in Mexico's presidential election. And while the Good and Great told him he'd be finished if he kept protesting the stolen election, he made counting every vote the very first of his five-point campaign platform. He understands that even those with empty stomachs also hunger for democracy. Why we are suing Ohio and Kansas -- We CAN Reverse Purges The doors to the truth are opening. Ohio's Husted has now given us the name of every single voter purged in the last decade. But we need the details of who got postcards, who returned them, and why he sent these voters postcards in the first place. And we need copies of the junk mail that stole Ohio's democracy. Ohio's Junk Mail Trick Led The Supreme Court To Approve Jim Crow Vote Purge Even the Court's right-wing majority concedes that federal law strictly forbids removing voters because they skipped some elections. 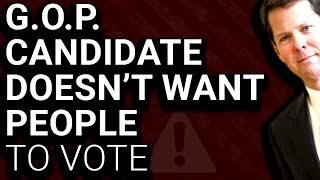 The National Voter Registration Act of 1993 states that a voter purge program "shall not result in the removal of the name of any person ... by reason of the person's failure to vote." 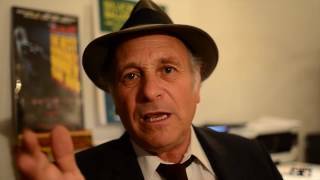 Rhymes with Weinstein Greg Palast, the journalist, shares a brain with Greg Palast the poet and story writer. This is the first time Palast the poet has bothered you with verse -- and the last time. Mom's Last Message For You In 1988, Mom was a delegate to the Democratic Party Convention in Atlanta. But the maids and janitors at the Atlanta Marriott were on strike. My mother donned her red-white-and-blue outfit, added a mop and bucket -- dressed union pickets with the same outfits -- and challenged the Democrats not to cross the picket line. It put her and her mop on the cover of the Atlanta Journal-Constitution. 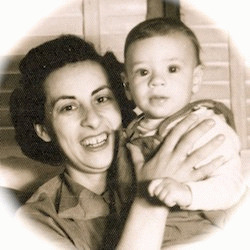 Gladys Palast 1921 -- 2018 On Friday at 11am, Mom will be memorialized at Miramar Military Cemetery. My father, who gave away his combat medals to protest the War in Vietnam, will have his ashes interred beside her; each will receive a full military color guard. Mom taught us how to make noise, make trouble and make a difference -- in our little tract home in San Fernando Valley, filled with extraordinary idealism, humor, confidence, caring and love. Cambridge Analytica Ain't Nuthin: Look out for i360 and DataTrust The GOP has been using computer power to erase the voting rights of Black and Hispanic voters for years -- by "caging," "Crosscheck," citizenship challenges based on last name (Garcia? Not American!! ), the list goes on -- a far more effective use of cyberpower than manipulating your behavior through Facebook ads. 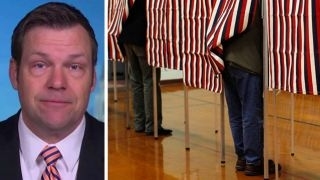 Trump's Top Vote Suppressor and Illegal Alien Voter Claim Goes to Court The mainstream media has simply missed the voting rights trial whose outcome could unleash the newest mass vote suppression weapon, the invention of Donald Trump's chief vote suppression tactician, Kris Kobach of Kansas.